Hi y’all! While I’m going to keep my personal blog here, I now have a business site for my mandalas. You can find my new site at www.brilliantaquastudios.com. 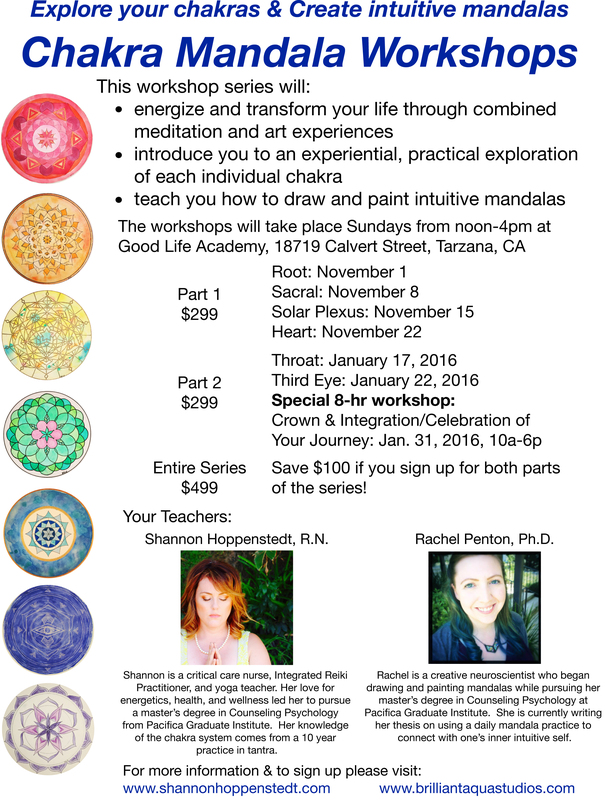 Along with a friend and colleague from school, Shannon Hoppenstedt, I’ve created a Chakra Mandala Workshop. I’ve attached a flyer below. Head over to my new site for more information & to sign up!! !